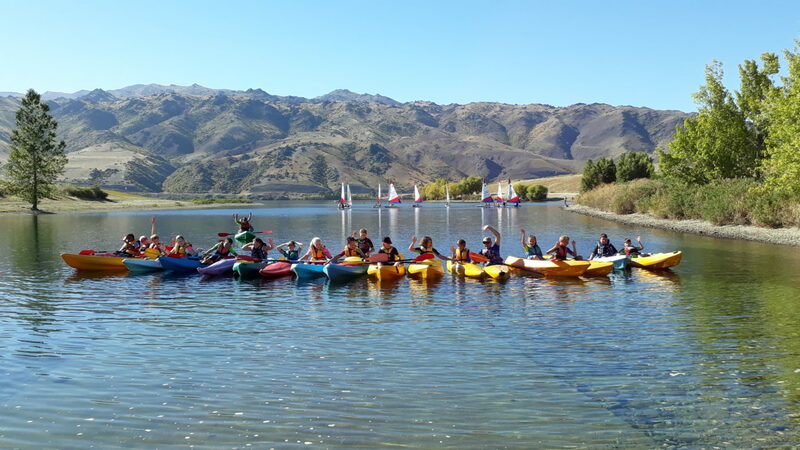 It was a beautiful February day as the Year 7s from Cromwell College met at Bannockburn to enjoy two days in and out of the water. They did activities from making boats out of string and floaties to shooting teddy bears out of trees. Christy Foster enjoyed the rogaining set by Terry Davis the best. “I loved exploring the Bannockburn hills. It gave me a great sense of independence,” she said. The rogaine was marked around the hills as a challenge to find and get as many points as possible. On the other side, however, plenty of people were enjoying doing shooting taught by Steph Davis. “It’s a really good way for kids, teachers and parents to mix and bond at the beginning of the year. New activities and going outside your comfort zone is cool too,” she says. On Wednesday and Thursday the Year 7s all met at the Aquatic Center for two fun filled days in the water. They were split into eight groups and all went off to their different activities. One day they would have one hour of kayaking and they would also have the choice to either walk the 45th parallel or do another rogaining challenge. The other day they did a series of water activities such as sailing with a partner, paddle boarding and going sailing on the Coronet with their whole group. When they did sailing they got taught how to steer and use the boats properly. At the end of the lesson they had a chance to capsize their boats and pull them back up. It was a whole lot of fun! After a long day at the Aquatic Centre, the Year 7s were to gather together on Thursday night for an overnight stay in the Cromwell College Gymnasium. The Year 7s learned more about the traditional custodians of this land, the Maori people and explored a particular traditional Maori tale of Kaiamio and Kopuwai. Kindly, some of the senior Kapa Haka students willingly volunteered to teach the Year 7 girls and boys the school haka. After a joyful yet tiring night, the students moved off into their separate sleeping groups, to enjoy a good night’s sleep.